For those gents or gals that currently own the Karve with these above plates, is there a big difference between the two? (02-10-2019, 06:26 PM)latha54 Wrote: For those gents or gals that currently own the Karve with these above plates, is there a big difference between the two? Depends on your beard type. D plate has more blade feel but still smooth. C plate is smooth. C plate would be comparable to razorock game changer .84. Start with the C plate, it’s the perfect baseline. Thank you for your reply. The C plate is right in the middle. (02-11-2019, 12:01 AM)latha54 Wrote: Thank you for your reply. The C plate is right in the middle. I would say yes. But I don’t have all the plates. I have the C and D and I can compare the C to the game changer .84 and I would say the C is the mid point. You can’t go wrong with the C and I have a course tough beard. My only knock on the razor are that the blade tabs are not covered. I am not a big fan of exposed tabs and for the price they sell the heads at I would have liked closed tabs. Karve will soon be releasing an open comb version. I have both plates. For me I prefer the c plate, mild yet efficient daily driver. I have the C plate and paired with a Feather blade it is nirvana. My only knock on the razor are that the blade tabs are not covered. I am not a big fan of exposed tabs and for the price they sell the heads at I would have liked closed tabs. Does anybody have a picture of the head with a blade in it? I would like to see how exposed it is before I order one. I’ll take one tomorrow if no one else posts one, but I will say that I like the exposed tabs because it makes the razor more maneuverable. You’re not in any danger of cutting yourself with the exposed tabs unless you’re really careless. (02-11-2019, 04:48 AM)gLet Wrote: My only knock on the razor are that the blade tabs are not covered. I am not a big fan of exposed tabs and for the price they sell the heads at I would have liked closed tabs. The exposed tabs on this razor makes tightening the razor head uncomfortable if you hold it with your thumb and index finger. The curved intents in the razor head serve no function. 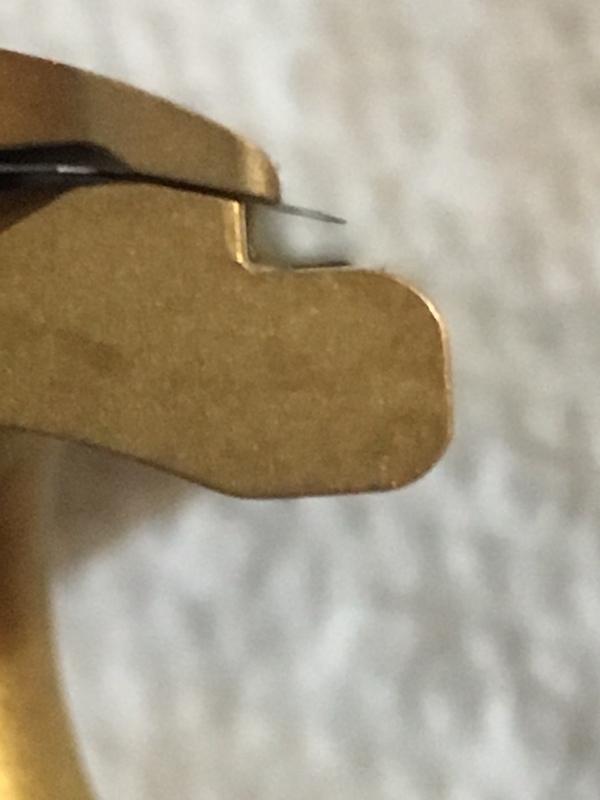 If the blade tabs were covered then the curved intents on the head would make tightening the razor head more comfortable. This is what PAA did with with the Ascension DOC because of the same issue with the original DOC. If you don’t hold the cap in place with your fingers and just tighten it with the handle then it’s not an issue. I can maneuver just as great with closed blade tabs, that’s not an issue for me. 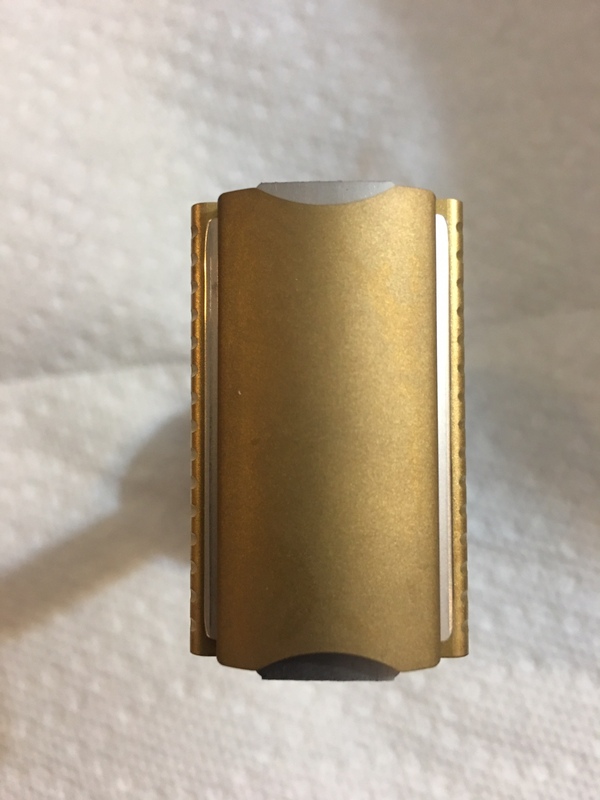 Because the Chris Bradley razor has this design (exposed tabs), the form factor only gets 3 stars from me. I must say I am disappointed because the price is not cheap. 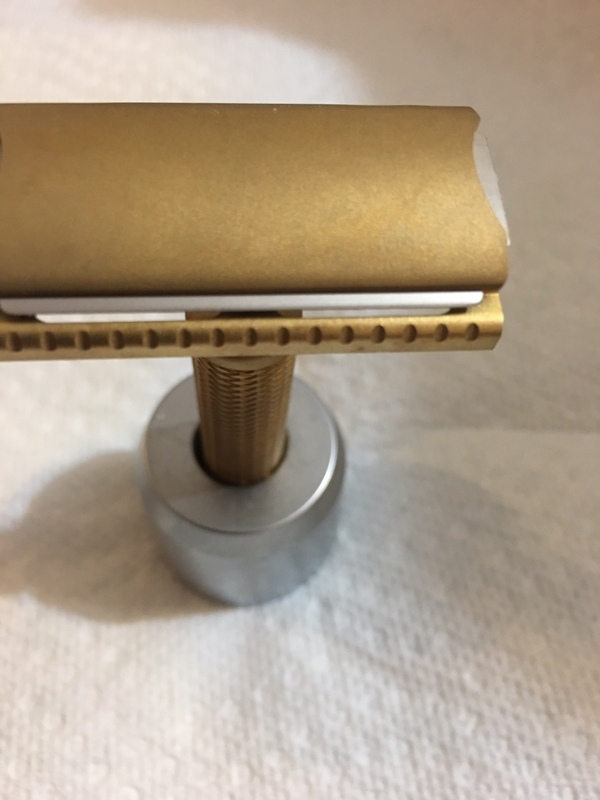 Overcoming the base tab issue, the shave gets 5 stars, smooth and heavenly. 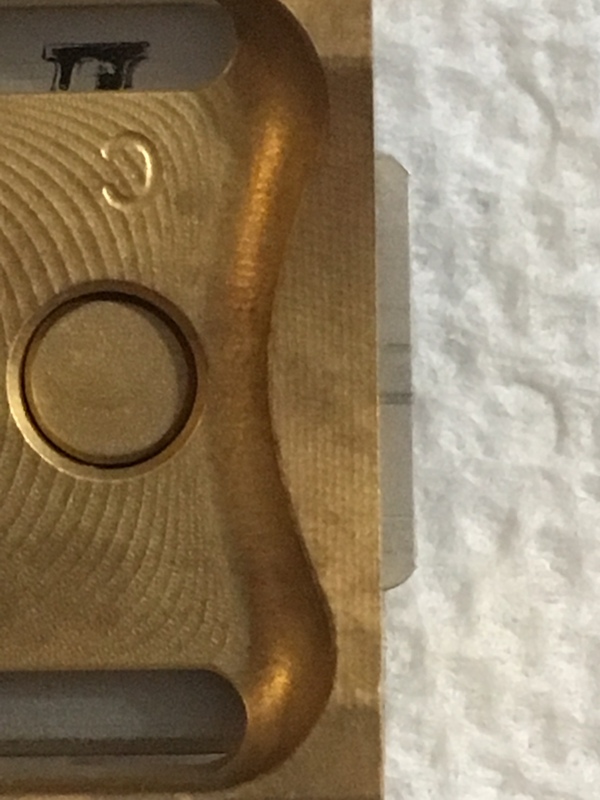 Below is the C plate. The last picture with the underside of the baseplate shows the tab exposure, that’s to much for me. Thank you for the pictures. I understand what you are saying, and agree I would like it better if the blade were fully covered. Even with this, I still like the razor and ordered one this morning. Hopefully the shaves will be as great as most people seem to rate them !